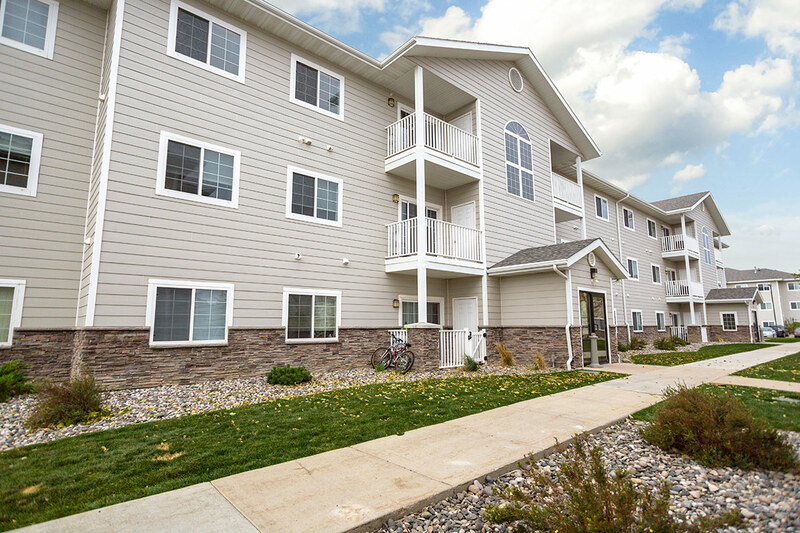 Remington Village Apartments is a Class A apartment community located in Gillette, WY. Built in 2008, Remington Village is comprised of nine three-story buildings constructed of hardie plank siding and brick with pitched roofs. The community is situated on a 7.2 acre site with quick access to Interstate 90. The property has an attractive unit mix of 12 one-bedroom/one-bath units, 108 two-bedroom/one-bath units and 96 three bedroom/two-bath units, totaling 216 units. The unit mix is well suited to the family demographics of the area. Each dwelling is equipped with enclosed semiprivate hallways and entries, full-size washer and dryers, electric stove, built-in microwave and dishwasher, refrigerator, disposal, oak cabinets and trim, bathroom medicine cabinets with storage, central heating and air conditioning, private concrete patio or balcony, kitchen counter eating space, cable TV outlets in living room and bedroom, large bathrooms, efficient 50-gallon electric water heater, mini blinds and vertical blinds, California rounded wall corners, and digital cable and fast internet outlets. The community amenities include a clubhouse, 24-hour exercise facilities, business center, social room, sports court, and children’s playground. Remington Village Apartments are located in Gillette, Wyoming. Nestled in a quiet residential neighborhood, Remington Village Apartments is moments away from the 190,000 square foot Gillette Recreation Center, Gillette College, parks, shopping, dining, and more. The City of Gillette is located in Campbell County in Northeast Wyoming. The town is known for its vast oil reserves, electrical power plants, natural gas production, and a large number of coal mines producing over thirty percent of the nation’s coal for electrical generation. The population of Campbell County is over 46,000 and economic indicators consistently show significant economic and job growth.